From what we learned from the previous experience with the NES Classic Edition, it appears that the SNES Classic Edition could also run short when it releases, if the pre-order situation is anything to go by. Though Nintendo devices are traditionally sold at retailers like Target, Walmart and GameStop, it has been a challenge for gamers to get one easily. Now that all these retailers have already reached their pre-order limits, an old problem has resurfaced. 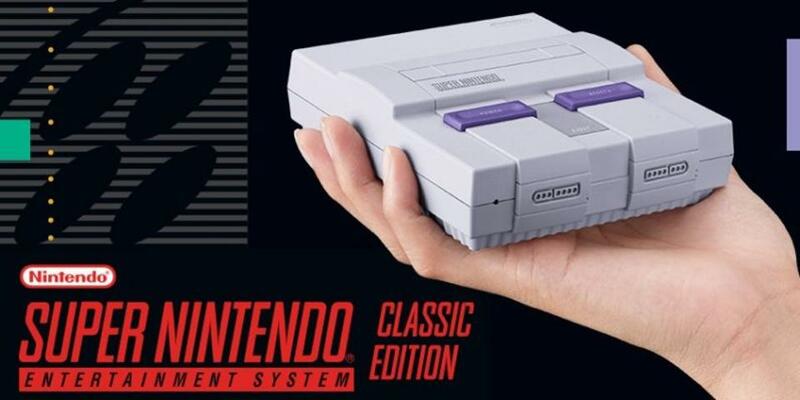 By now, the company should have a better idea and understanding after what it experienced with the NES Classic Edition, but it looks like the SNES Classic Edition might go the same route. ideally, Nintendo should increase its supply of the console so that everyone can get one at $79.99; this could reduce scalping on sites like eBay. But it hasn’t, because Nintendo has given no indication that supply will increase to meet demand. When demand is high and supply is limited, scalpers take advantage. They are well aware of the situation, and will figure out ways to make the console available at a higher cost. The worst of it happens when people realize that traditional retailers can’t get their hands on the console from the manufacturer. That’s already happening: the ones available on eBay right now are $275, and drifting up to $300 and possibly above, which is a lot more expensive than Nintendo’s price of $79.99. The main challenge is the one it’s had before with the NES Classic Edition: that the company is not able to meet market demand. Having said that, there are only two ways this problem could have been resolved. One is to adjust its price to bring demand numbers lower which the company is not willing to do. The other is to ramp up production and keep the price at the same level, which the company is also clearly not able to. Since the company is now in this position, the grey market is taking advantage to fill the demand to some extent. It’s a natural phenomenon that happens whenever supply can’t meet demand. If you’re really, really keen on getting an SNES Classic Edition, then an eBay pre-order is probably the only way. You’ll have to shell out the extra money, so make sure you really want it. For now, there is no sign of an increase in price post launch, but the current offers on eBay may come down if the company increases the supply. Unfortunately, there’s no way of knowing that until the product actually ships out and we know how retailer stocks stand up to the demand. We don’t recommend that you pay $300 for the SNES Classic Edition. There’s still time to decide once the product is on store shelves.